Our on-site team consists of experienced, multilingual project managers. They are your point of contact for every translation project, offering their extensive knowledge to guarantee professional, prompt, reliable and efficient handling of your job, right through the customer care process, management of bid proposals, project organisation, translation software advice and translator selection. Our freelance translators are recruited strictly on the basis of their qualifications, experience and specialist knowledge. All translators provide translations solely into their native language. With our global translator network, we are able to complete your job promptly and give due consideration to factors specific to your target country and target group. 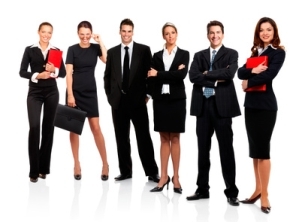 In short: an experienced team for your perfect international presence!